We’ve come a long way in 10 years. Marketers, want an idea of how quickly digital branding has changed in the past decade? Think back to 2006 and consider the landscape. MySpace was the undisputed king of the social web, and RSS feeds were flourishing. Meanwhile, Facebook was still a closed network exclusive to America’s largest colleges, and the fledgling YouTube service had just been purchased by Google for a whopping $1.65 billion. It was clear something big was on the horizon, but what that was, or how it would take shape, was yet to be determined. Today, social brands have the platform—and the voice. As we detailed in our best-selling book, The Social Employee (McGraw-Hill), things began to change quickly after this point. Brands like IBM, Dell, and Adobe leapt become pioneers of what of now commonly accepted social business best practices. At the same time, platforms like Facebook, Twitter, LinkedIn, gave brands unprecedented access to their consumer base—and empowering those same consumers to become brand advocates in their own right. And at the center of this tremendous new marketing opportunity? The social employee. Social advocacy is the pulse of the modern brand. Consumers trust what is called “earned media”—essentially recommendations from peers, friends, and family—more than they trust any other form of marketing [source: Nielsen]. Edelman Trust Barometer found that people trust everyday employees more than any other representative or branded company channel [source: Edelman]. Employee-generated or shared content is eight times more effective than that shared by a branded account [source: Social Media Today]. By sharing helpful content and engaging communities, social employees encourage other stakeholders to share and amplify their brand’s message, leading to increased social chatter, web traffic, leads, and sales. Any brand can activate its social employees. 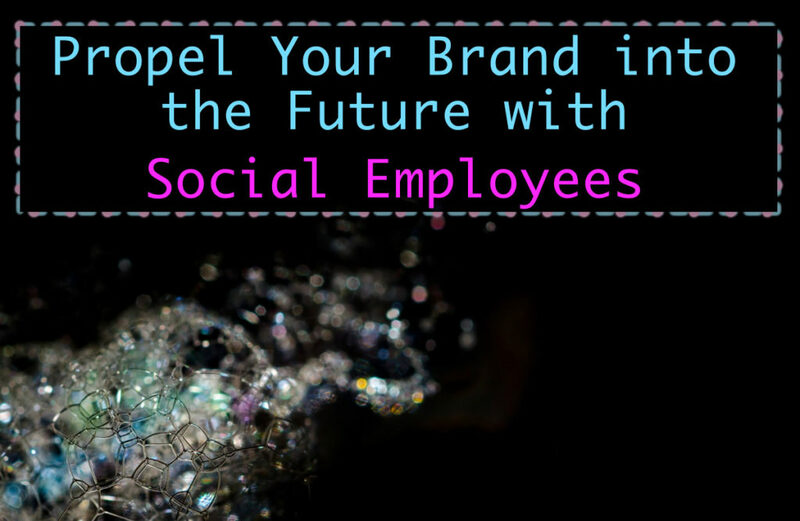 With 90 percent of brands already committed to building their own social employee advocacy programs, the time to get started is now.